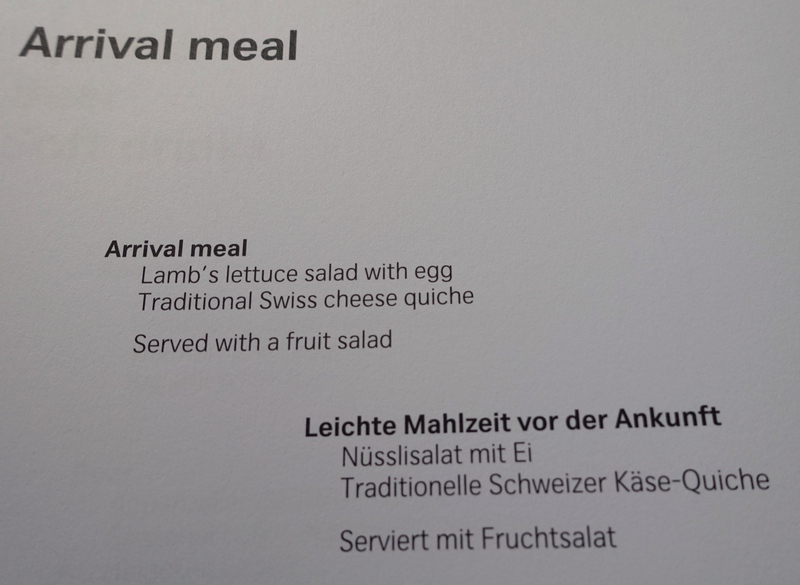 This review of Swiss Business Class, A330 covers my flight from Zurich to New York JFK. 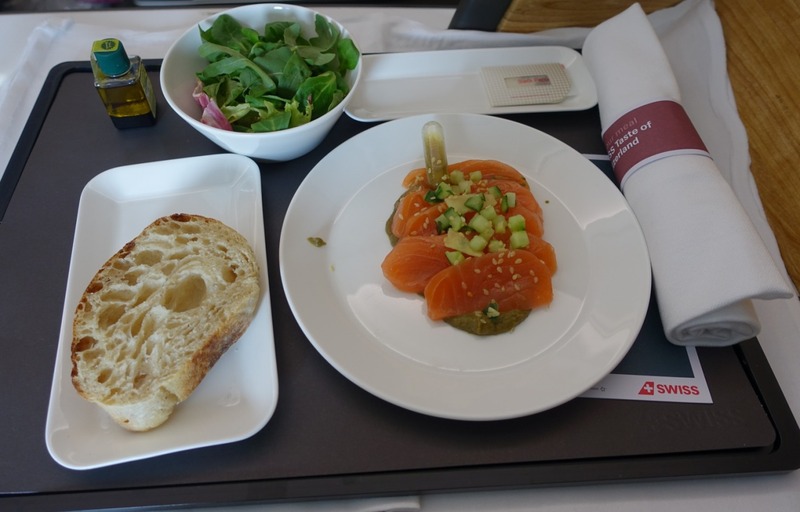 My prior review of my outbound Swiss Airlines Business Class flight from NYC JFK to Geneva covered the business class cabin, including the mini cabin, seat selection, and the seat, so I'll spend more time in this review on the food and service aspects, which figured less in my red eye flight. For my return flight, I didn't bother to pay extra to select a seat in advance of regular online check-in, since it was a daytime flight. 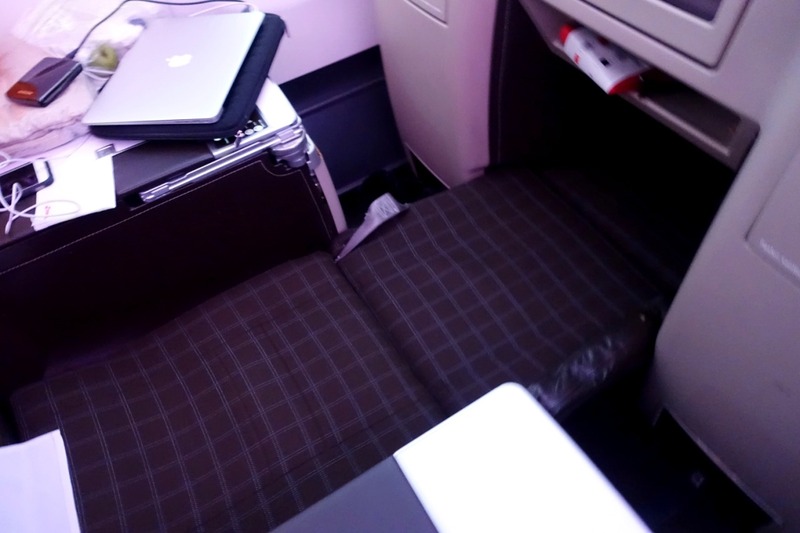 I still do prefer the “throne” seats, however, for their privacy and extra personal space around them, so I chose 12A, the last remaining throne seat when I did my online check-in. The main business class cabin was completely full, and definitely lacked the quieter and more exclusive atmosphere of the mini cabin, but I didn't mind much on this day-time flight. 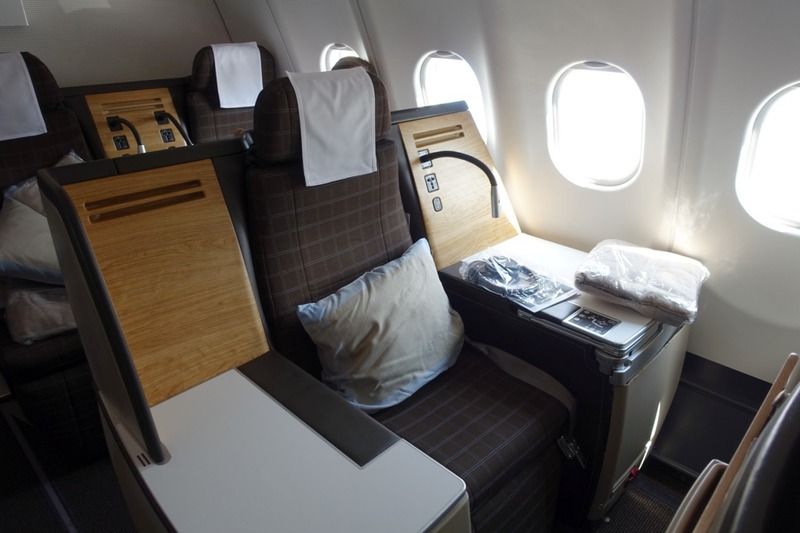 The business class seat itself is the same everywhere in the cabin in terms of width and how it reclines into a bed. The amenity kit was also the same, although this time the foldable tote was a cheerful red color more Swiss looking, so I kept it. 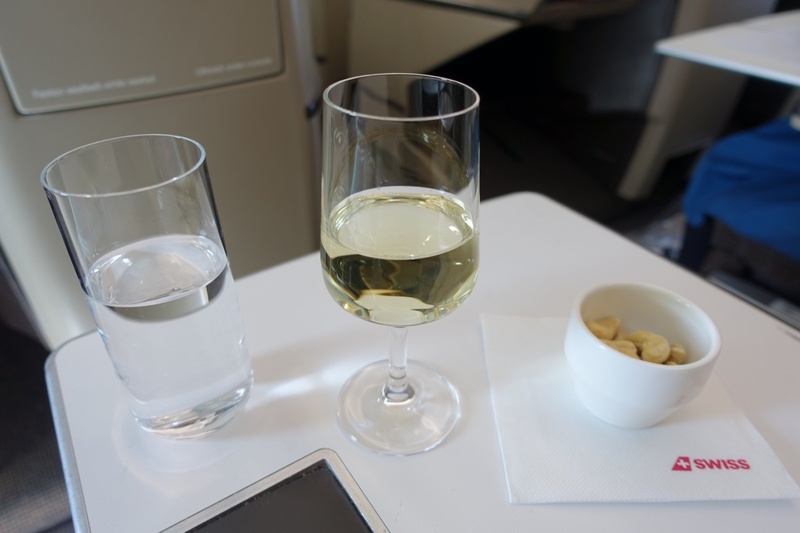 Before take-off we were offered pre-flight drinks, and I opted for my usual water. The appetizer of Balik salmon was an excellent start. 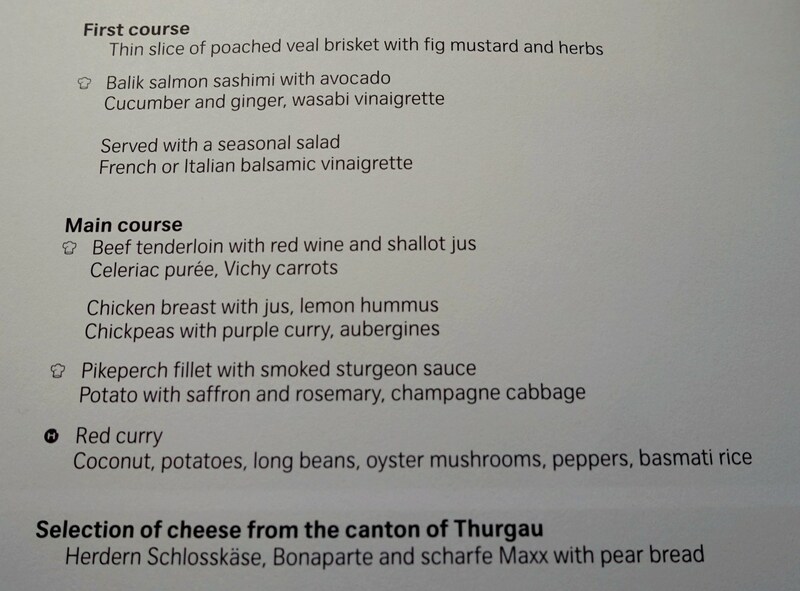 Not Cathay Pacific First Class level (back when Cathay served Balik salmon as part of its caviar presentation) but very good for business class. I just wished that the avocado was a more appealing green color, it seemed to have oxidized quite a bit. The main course, however, a beef tenderloin, was very overcooked. I ate about half of mine anyway, since I was hungry, but my colleague, seated nearby, pronounced it a “hockey puck” and complained. The flight crew was apologetic, and offered to make her another one, cooked medium rare, and it turned out much better, she said. 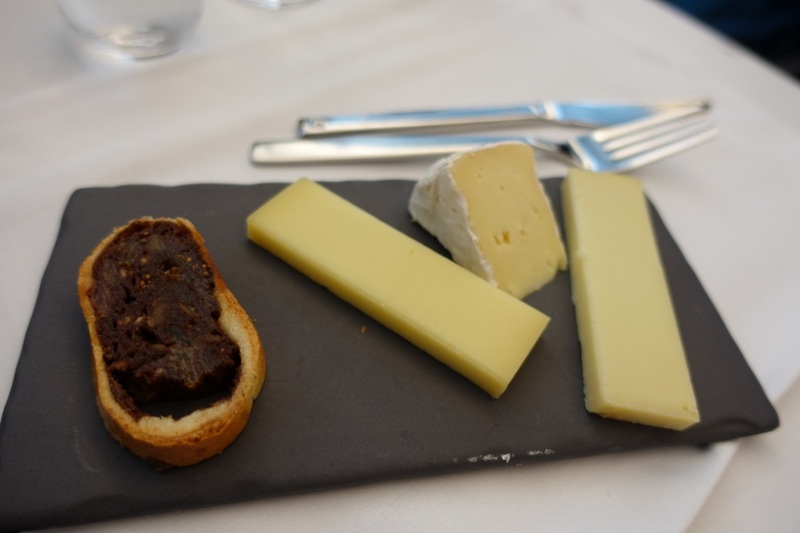 A tasty cheese plate followed–I especially loved the delicious fig bread that accompanied the three generous servings. 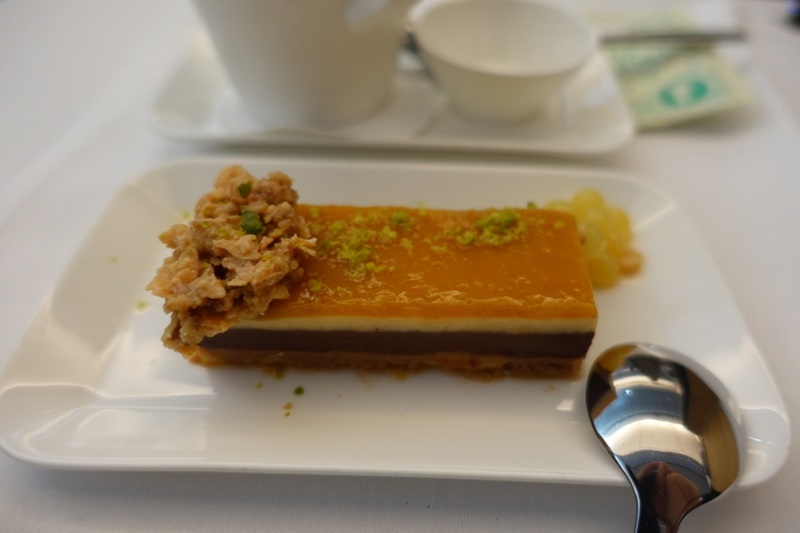 The dessert was a bit strange: a chocolate nougat slice with a kalamansi topping and granola, and to me the flavors didn't come together well. 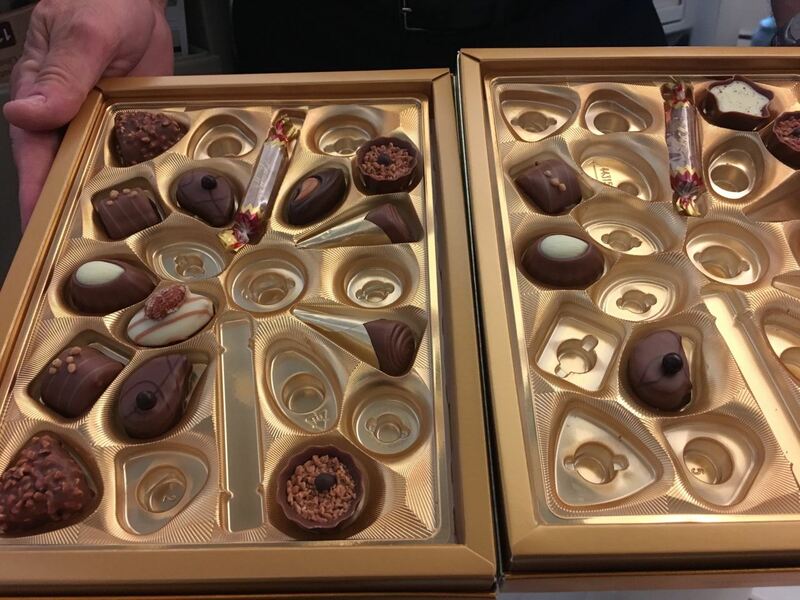 There were Swiss chocolates offered, however, for anyone who was still hungry or didn't care for the dessert. 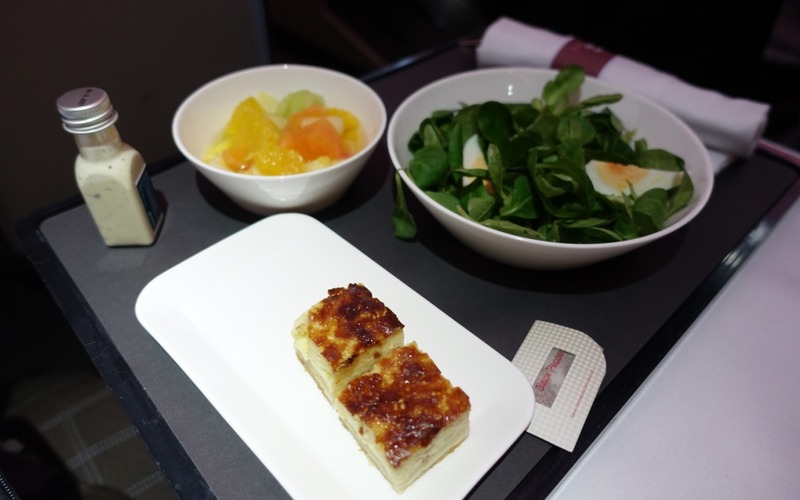 The pre-arrival meal included cheese quiche squares, a very fresh salad with hard boiled egg, and fruit salad. Delicious and quite healthy. On this flight, service was excellent, and the cabin crew very attentive–much more so than on my outbound flight from JFK to Geneva. They were very apologetic when my colleague pointed out the very overcooked state of the main dish, noting that this was a new menu item, but still working to make a new one to her satisfaction. I also noticed them taking great care of an Orthodox Jewish family of 5 in the seats near me. 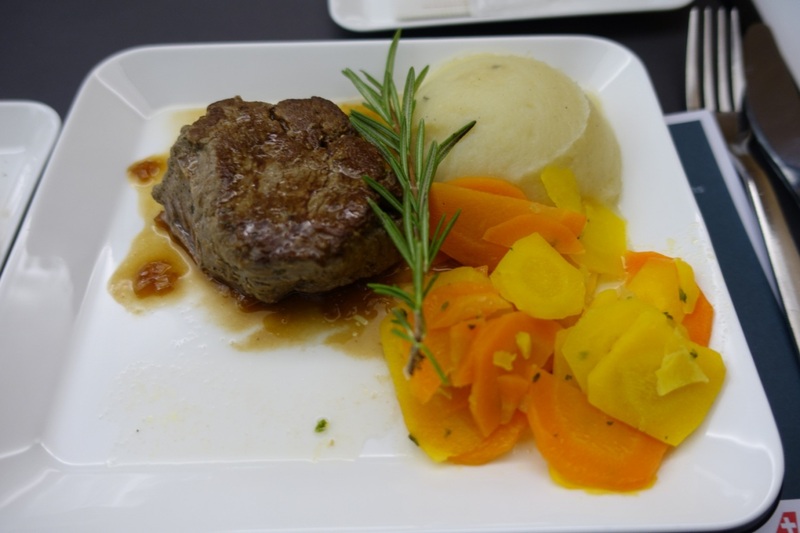 The food, apart from the very overcooked meat, was above average–better, in my experience, than Cathay Pacific business class and several other business class products I've flown, although not as good as some of the better JetBlue Mint or Singapore Book the Cook dishes I've had. Stay tuned for a video trip report. 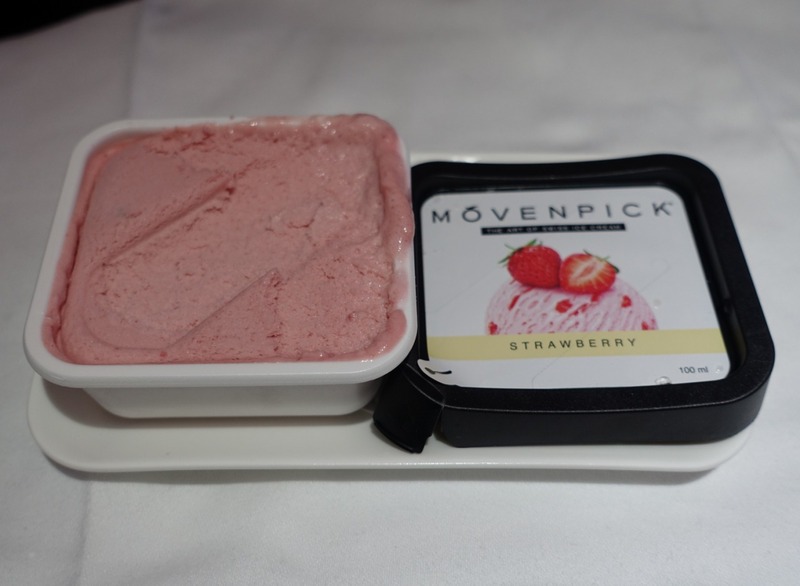 If you've flown Swiss Business Class recently, what was your experience?